Jurgen Klopp has been boosted by the return of three players ahead of Saturday’s clash with Bournemouth, leaving the Liverpool manager with decisions to make. The Reds trained at Melwood on Thursday with Trent Alexander-Arnold, Jordan Henderson and Gini Wijnaldum back in the fold, after the trio missed Monday night’s 1-1 draw with West Ham. This is a major lift after doubts over their involvement in the 26th game of the Premier League campaign, particularly as injuries were a clear contributing factor to four points dropped in the past two outings. Bournemouth have never won at Anfield, but despite losing to Cardiff last time out they proved their ability to damage the top sides with a 4-0 thrashing of Chelsea before that. This weekend, therefore, is set up as another test for Liverpool in their pursuit of the title, and having dropped behind Man City on goal difference, three points are a must at Anfield. So how should the Reds line up after their increase in numbers? 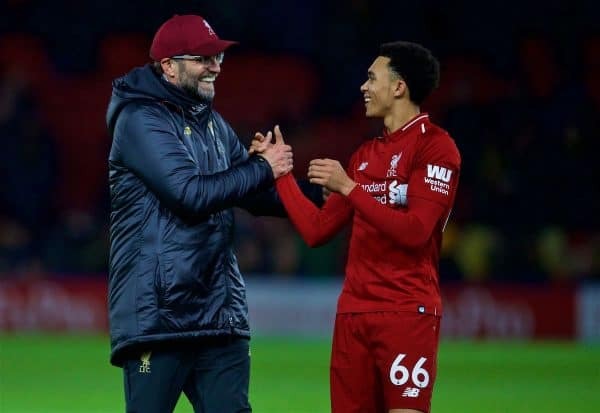 Speaking at Melwood on Friday, Klopp confirmed the return of Alexander-Arnold, Henderson and Wijnaldum, and explained the likelihood of the trio featuring against Bournemouth. On Trent, he said he would “need to see” how he reacts after three-and-a-half weeks out. 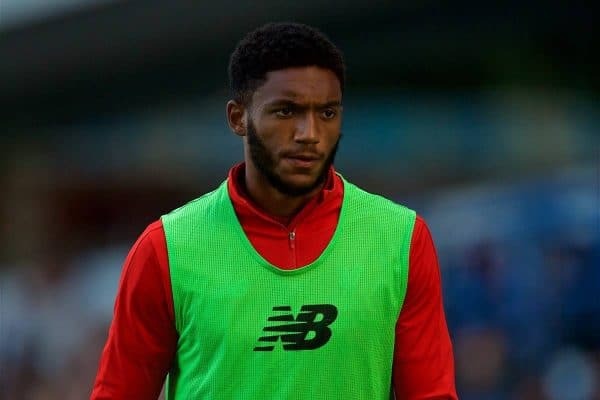 Joe Gomez is also out, but Klopp put a timeframe of “four to six weeks” on his return after surgery, while Alex Oxlade-Chamberlain and Rhian Brewster remain longer-term absentees. Van Dijk, Fabinho and James Milner appear to have all fully recovered from illness, and should therefore be available to start. The improving health of his squad is very encouraging for Klopp after back-to-back draws, and ahead of a nine-day break between games he can continue to manage his group sensibly. With only Gomez and Lovren sidelined now of those to start the campaign fit, the manager can look to inspire a return to form and keep up the pace with City. Bournemouth themselves are struggling for numbers, with Nathaniel Clyne ineligible, Jefferson Lerma a doubt and Simon Francis, Lewis Cook, David Brooks and Callum Wilson all sidelined, presenting an opportunity for Liverpool. Whether Klopp should restore all three of Alexander-Arnold, Henderson and Wijnaldum to his starting lineup is questionable, but it is likely at least two start. 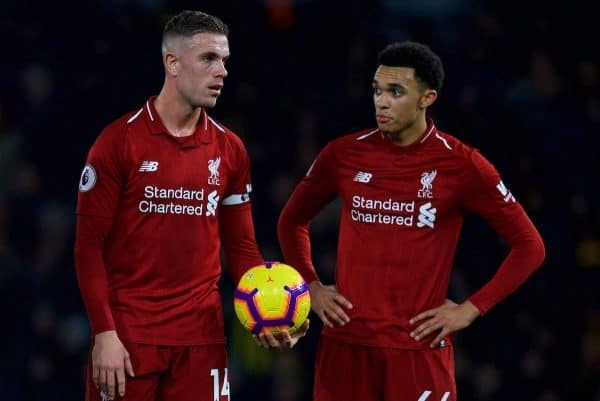 Milner’s struggles at right-back against Crystal Palace and West Ham—albeit the latter due to illness—suggests Alexander-Arnold is the biggest priority to return, and he could join Van Dijk, Joel Matip and Andy Robertson in the back four. 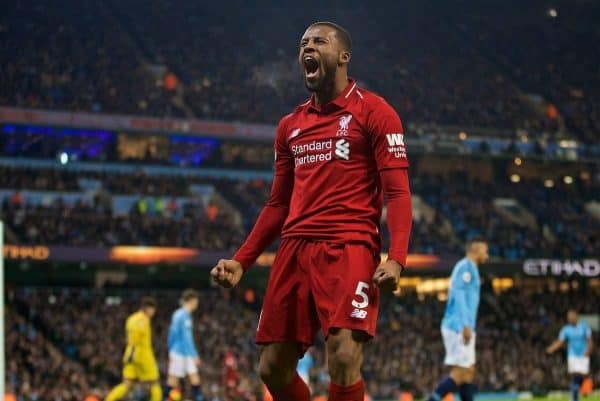 In midfield, having missed just one game Henderson seems the more likely to start than Wijnaldum, taking his place alongside Fabinho to allow the Dutchman more time to work his way back to fitness. The Cherries’ predilection for expansive, attacking football, and the possibility of Eddie Howe fielding a back three, should prompt Klopp to return to the 4-2-3-1 setup. Therefore, Xherdan Shaqiri could start again next to Roberto Firmino and Sadio Mane, in support of Mohamed Salah. However, the extent of Alexander-Arnold’s ankle injury could see Klopp play it safe and retain Milner at right-back, with the prospect of his No. 66 suffering any recurrence a worry. 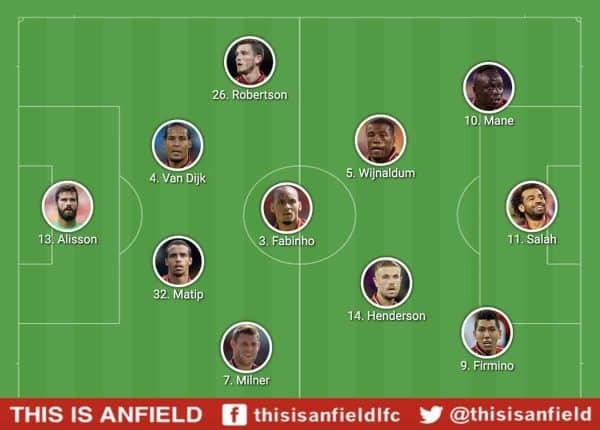 If the vice-captain starts, it may be wise to start both Henderson and Wijnaldum in midfield as part of a trio with Fabinho, in the hope of added stability on and off the ball with a 4-3-3. This would see Salah and Mane flank Firmino up front, with Shaqiri available as a game-changing substitute and the struggling Naby Keita kept in reserve too. 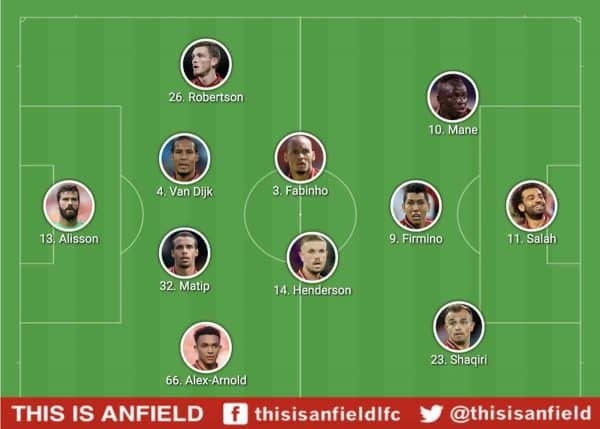 But with Klopp switching formations back to a 4-2-3-1 during the draw with West Ham, this seems the less likely option, particularly if Liverpool are to go all out for victory. The Reds are expected to head to La Manga for another short warm-weather training camp after this clash, providing more time for recovery and preparation for the all-important meeting with Bayern at Anfield. But the focus for now should be on Bournemouth, and with Klopp urging the home supporters “shout your soul onto the pitch” in his pre-match address, the hope will be that the dominant Liverpool of this season returns.